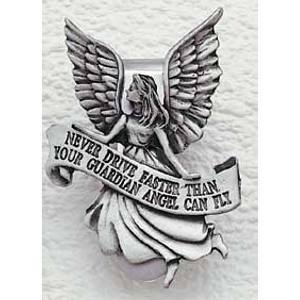 Reading "Never Drive Faster Than Your Guardian Angel Can Fly", this visor clip is a great way to remind your loved one to travel safely. A great gift for new drivers! The angel visor clips were a great reasonably priced gift for our guild board and committee members. They were shipped very quickly and I was happy with the service and products.